For nearly 100 years, families near and far have come to love the community known as Holden Beach. 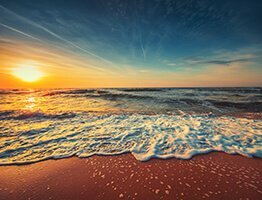 As one of three barrier islands located on the southern coast of North Carolina, Holden Beach has welcomed visitors to enjoy the natural environment and good old southern hospitality. 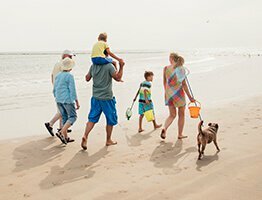 Ranked by National Geographics TRAVELER Magazine as one of the countries top 10 family beaches, the appeal for the island comes from it’s quiet position between the port city of Wilmington, NC and the bustling scene of Myrtle Beach, South Carolina. 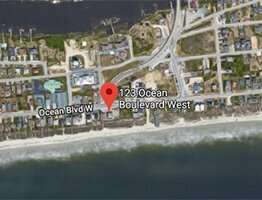 Holden Beach is the perfect place for those who are looking to vacation on its nine miles of oceanfront. Whether you’re here to enjoy the stretch of coastline or looking to catch some great seafood, you’ll never come up short in this place of rest. Since the 1920s, this resort community has grown to become the place to visit to more than 10,000 people during the summer season. However, many have found the lovely town to be a place in which they would relocate to either start a family or retire. Even though there is limited commercial property on the island and on the mainland, it is constantly growing with several shops being built to provide essential conveniences to both residents and visitors alike. Nearby in the town of Shallotte which is just ten minutes away, one can find plenty of restaurants and shopping centers featuring nationally-known chains and specialty stores selling items exclusive to the coast. Embrace Holden Beach as nearly 1,000 residents call the island home. Travel over the Intracoastal Waterway and venture from mainland to the island to see an awesome sight that sparks the affections of any beachgoer. 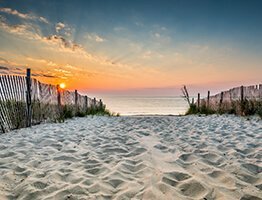 With plenty to see and do such as fishing along the pier, watching the sea turtles in their natural habitat or simply lounging in the sand, Holden Beach is the not just a tranquil vacation destination but a location that embraces and understands nature. Say hello as this fantastic isle welcomes you to a lifestyle of serenity.